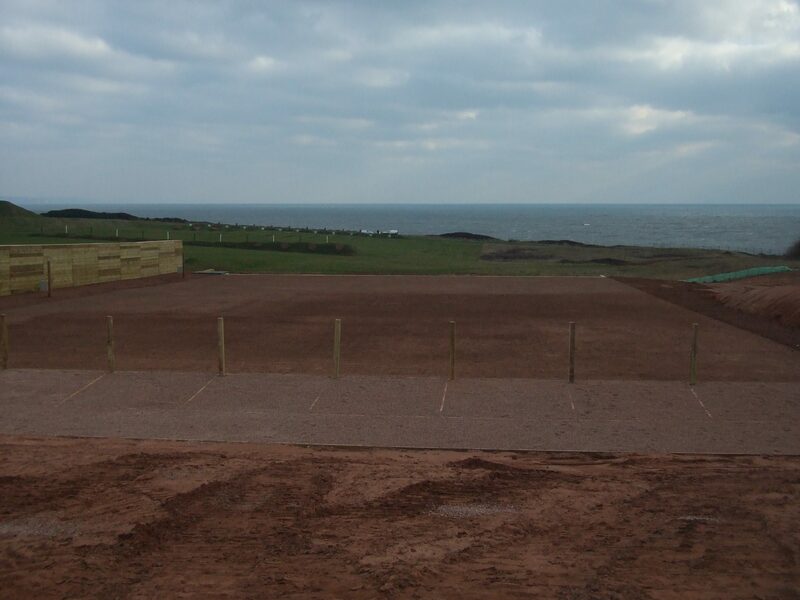 This cliff top headland belongs to the Ministry of Defence (MoD) and is a rifle range for the Royal Marines. 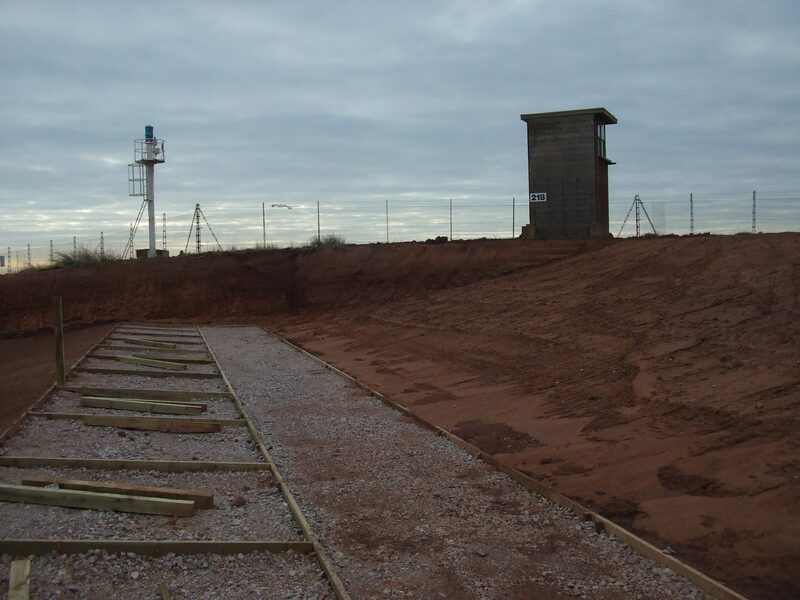 The MoD wanted to extend their training facilities by constructing an additional firing range for close armed combat. 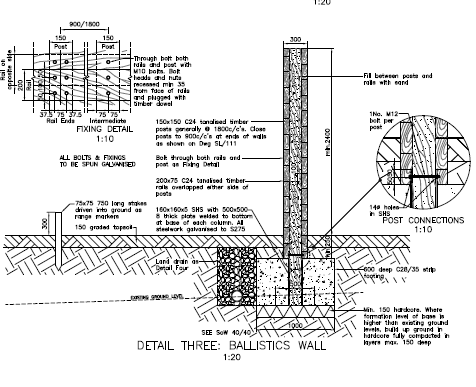 To separate the new range from the existing adjacent range, a 2.4m high timber ballistic wall was designed to prevent stray bullets between the two ranges. 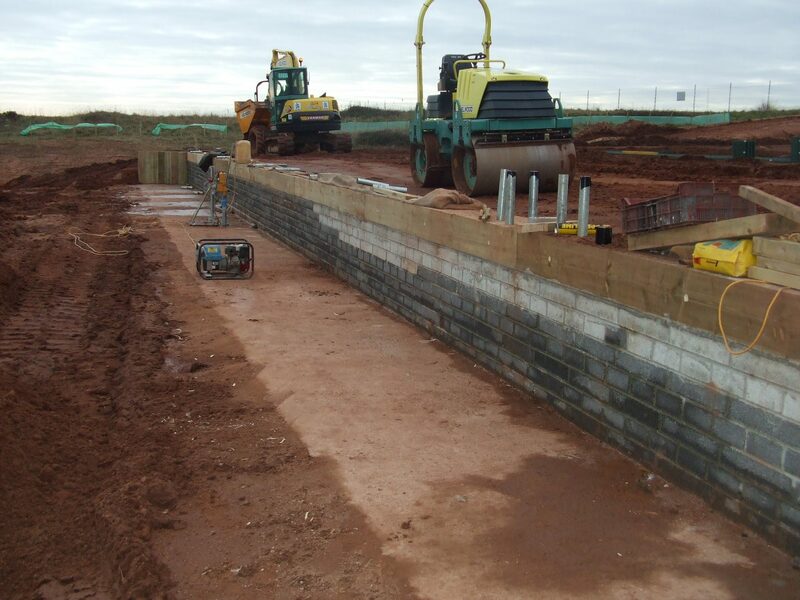 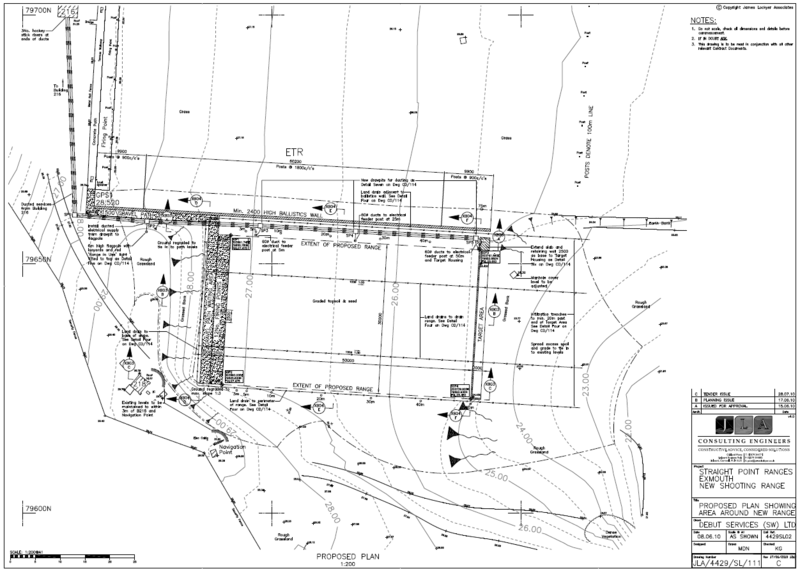 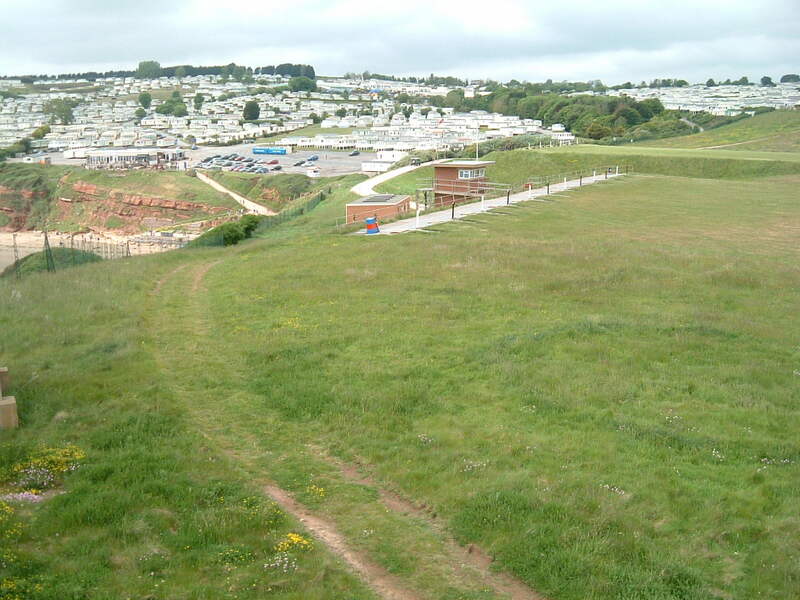 Access to the site was through a holiday park and so cut and fill earthworks were used to level the sloping site, which redistributed the soil without the need to import or export large quantities to/from the site. 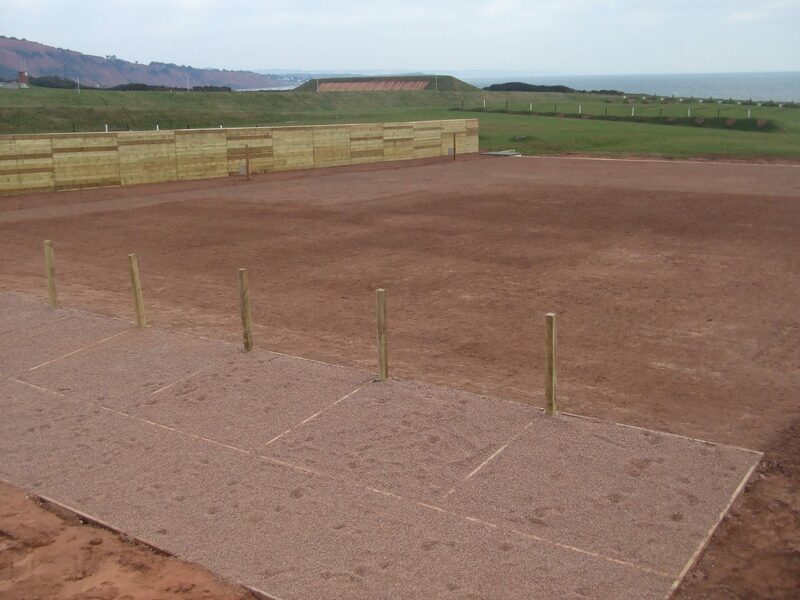 An ecological and reptile survey revealed that lizards were present on the site, which are protected by law. 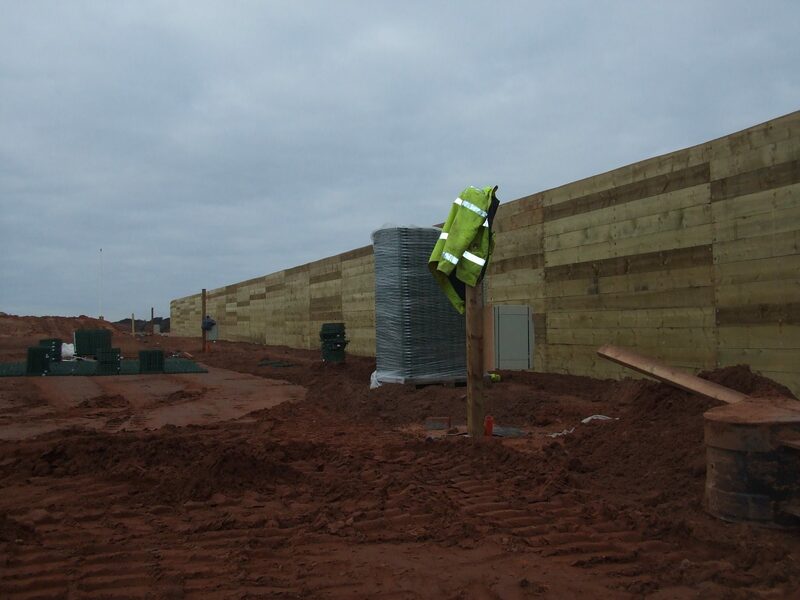 As part of the planning conditions, mitigation methods were implemented in accordance with recommendations by Natural England to ensure that the lizards were removed from the construction zone and that their natural habitat was reinstated around the site on completion.